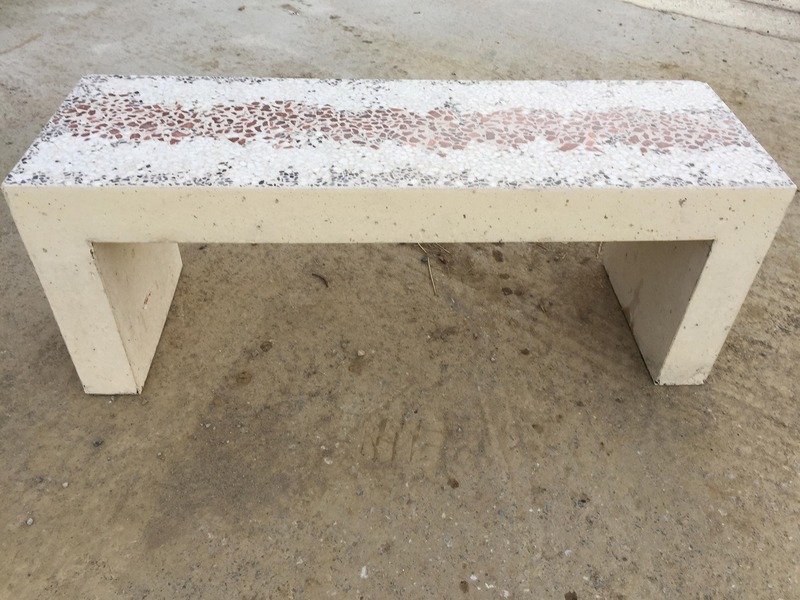 Here we have a beautiful 100mm thick concrete bench,with a polished concrete top with red granite, marble and normal limestone. 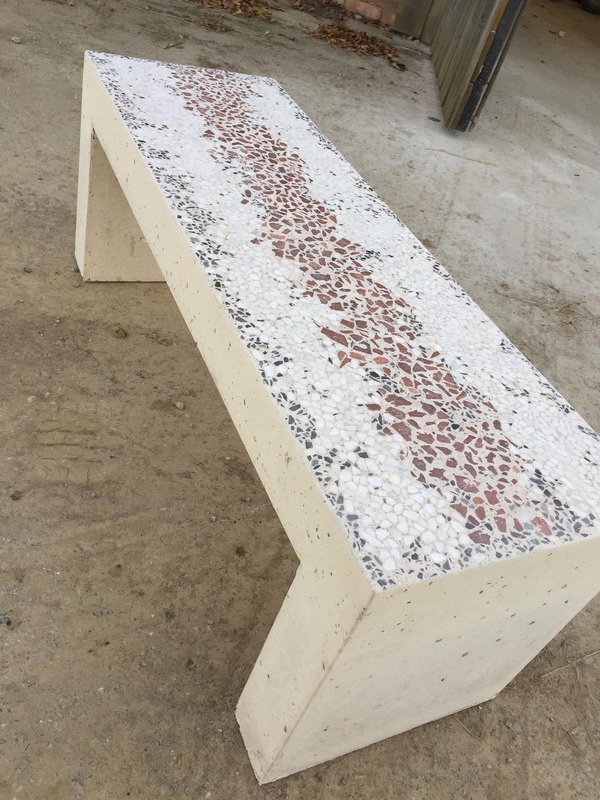 This is a really trendy and modern piece of concrete art with naturally occuring holes which give it a rustic charm. 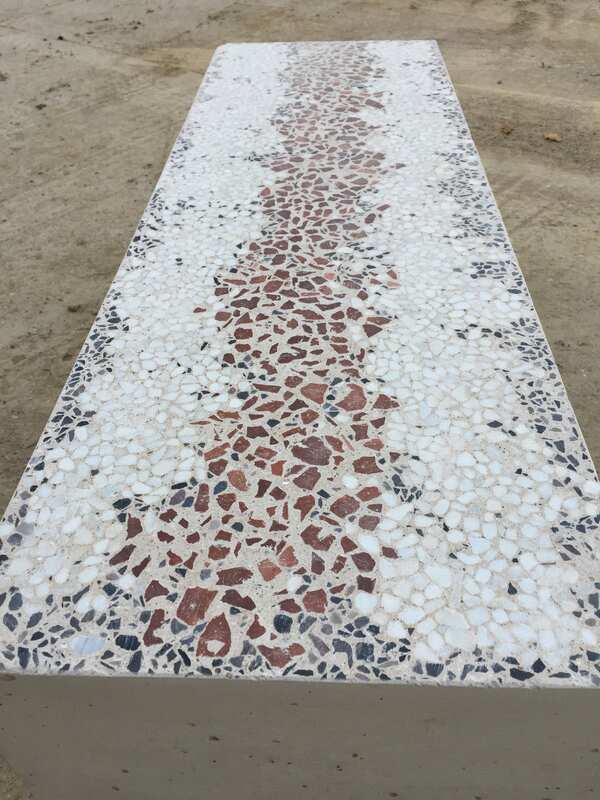 Each piece is uniquely different in its own right. 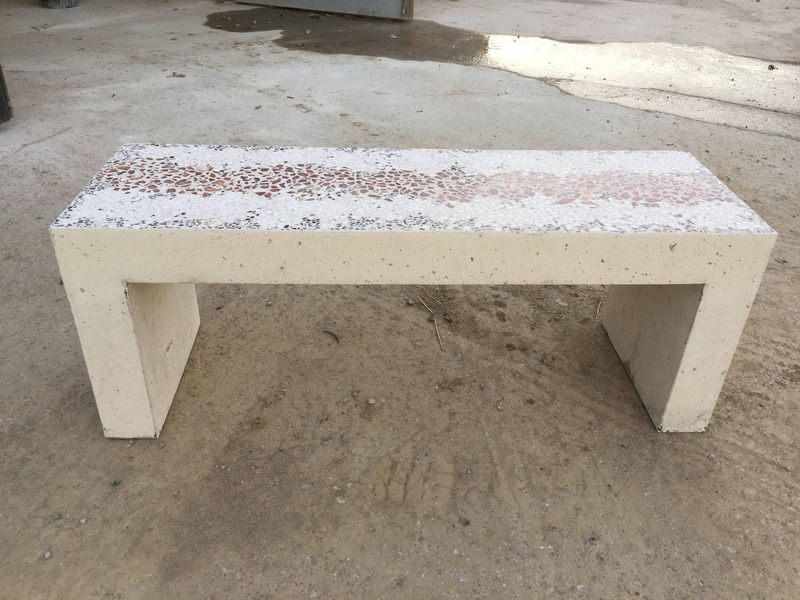 It is suitable for outdoor furniture use but equally beautiful as an inside piece. 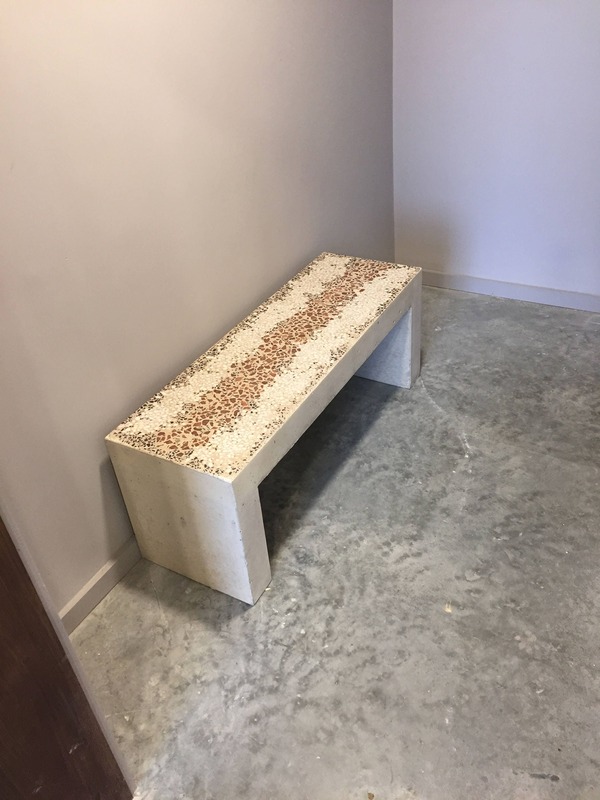 This could easily suit a commercial project or just as a piece of art in any home. Large orders can be made. 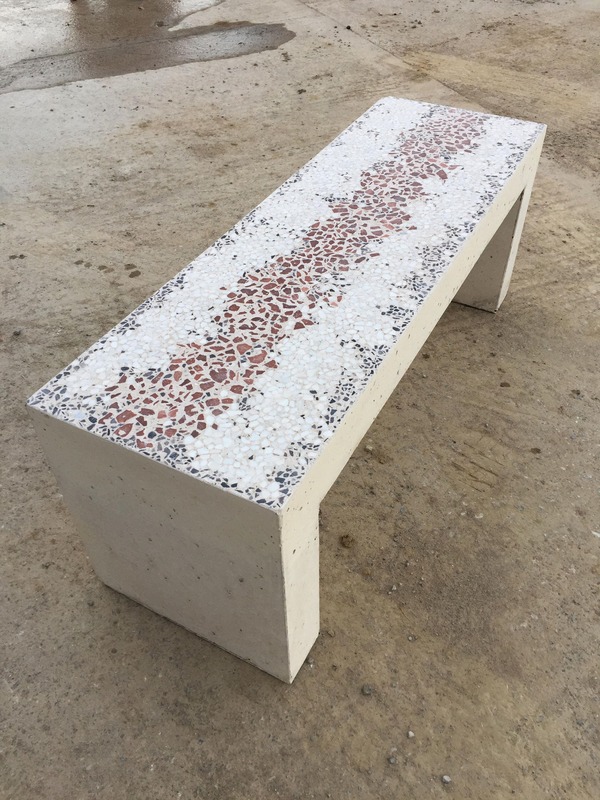 Each piece will be hand crafted in the countryside of somerset giving the inspiration of each and every one. 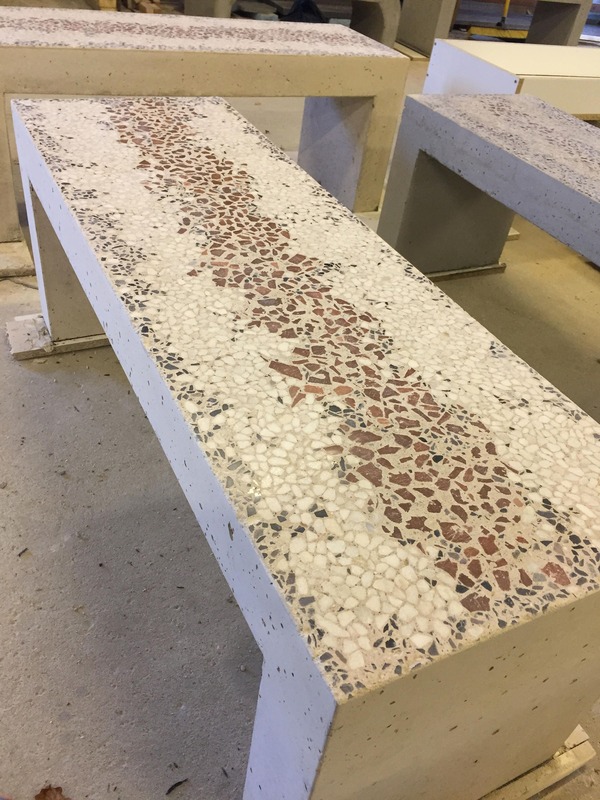 At Morris Concrete Designs we make all our unique pieces with love and passion and therefore produce fine quality work with no corners cut.